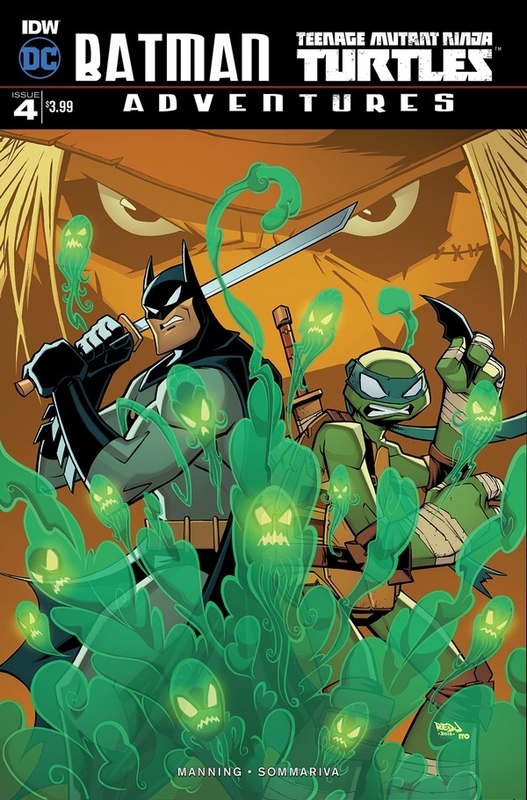 Batman/TMNT continues the story of what happens when escaped prisoners from Arkham Asylum invade New York City through portals that connect the two worlds. The artwork is done in the style of the 90’s animated series and the current style of the Turtles. It’s an excellent blend of style and design. For someone jumping into the book cold it sets the tone right way. The story drops us right in middle of New York being affected by the Scarecrow’s fear gas. For Batman, it’s an old hat that affects him in way that holds him back from doing what he needs to do. The Turtles affected aren’t so lucky. The best part of the story is the scenes with the Joker and Harley. Shredder gets his own run in with the Joker that is really well done. The Turtles and April also get a little team up with Robin and Batgirl. All and all the story is fun and I wish I had read it a lot sooner. It doesn’t negatively take away from either Batman or TMNT. The next issue should be really good with the next bad guy on the block already big a big tease.